We aim to enhance communication and collaboration through bridging the gap between the education industry in China and abroad, without national boundaries. CHE encourages information- and opportunity-sharing (e.g. industry best practices, recent trends, experts) amongst the international education community to better serve the industry as a whole and to strive to build best practices. 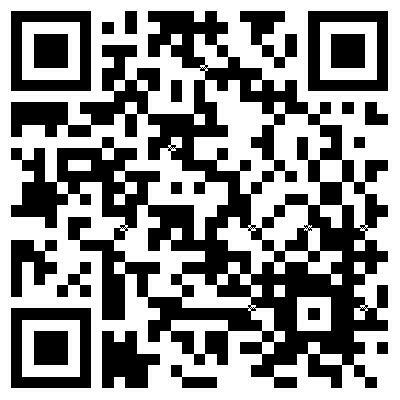 Are you interested in joining the Working Committee? 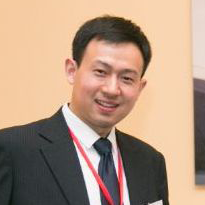 In October 2015 Danny Pan became Head of Education Technology and Higher Education at Department for International Trade (DIT) based in British Embassy Beijing. Prior to working at the British Embassy, Danny has 10 years experience in both the British and Chinese higher education sectors including King’s College London, Queen Mary University of London and Wuhan Polytechnic University. In his current role, Danny helps UK-based education organisations (companies, schools, universities, institutes etc.) to grow their businesses through expansion into the Chinese market, and to explore high value opportunities and government projects for UK suppliers and Chinese investors. Xingfei Liu was an International student at the University of Worcester in the UK for his MSc Educational Management & Leadership degree. His work experience includes positions in both the Chinese higher education sector and the British education industry, including five years at an international school in the UK, over the last decade. He is currently the Business Development Manager of the China Office of Leeds Beckett University and is particularly interested in joint programs, short-term study programs and outbound study. Mr. Cao has been serving as the Program Coordinator of China Initiatives at Northern Arizona University (NAU) since 2014. In this capacity, he is responsible for managing partnerships and program operations for NAU with over 50 universities and agents in China. Mr. Cao holds a Bachelor’s Degree in Business Administration from Northern China University of Technology, and he is currently working on his Master’s Degree in Educational Psychology at Northern Arizona University. In his three years at Northern Arizona University, Mr. Cao has played a significant role in enhancing the university’s international enrollment by actively engaging in comprehensive academic exchange programs and important business dialogues with partners all over China. He has been successfully managing the daily operations at NAU’s Beijing office, which serves as a critical point of contact for not only mainland China, but also recruitment representatives in Vietnam, India and Russia. Following closely China’s fast-changing educational policies and regulations, Mr. Cao brings valuable insights into the university’s China initiatives by developing effective recruitment strategies and establishing vital partnerships with high quality institutions and educational agents. His endeavor in the educational field has taken NAU’s relationship forward in the market, and a closer cooperation with the Ministry of Education of China. 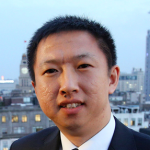 Ding Lei has been managing the China and East Asia Office for the University of Bradford since 2012 and is responsible for relationships with Chinese partners and recruitment of students. Prior to his position with the University of Bradford he worked as an International Officer at Teeside University and the London Metropolitan University. Mr Ding completed his MA degree from the University of Bradford and his BSc degree from China Northeastern University. Dr. Enrico Fardella is Tenured Associate Professor at the History Department of Peking University (PKU) and Executive Director of PKU’s Center for Mediterranean Area Studies (CMAS) and it is in this capacity that he cooperates with Torino World Affairs Institute (T.wai) as Director of the ChinaMed Project and the ChinaMed Business Program. He is the founder of the popular discussion platform, ThinkIN China. Since graduating from the University of Essex in 2004 with a Master’s degree, Ms Yu has worked for various overseas higher education institutions and the UK Trade and Investment in the British Embassy in Beijing for 12 years. She is currently the China Country Manager of the University of Newcastle, Australia and is responsible for managing the university’s mainland China partners for academic, research and industry engagement. Ms Yu’s experience covers market analysis, strategy development and execution as well as communications between institutions and key stakeholders. Before joining IES Abroad, he was the founding member of Shanghai Jiao Tong University (SJTU)-Shanghai Advanced Institute of Finance (SAIF), where he established the International Affairs Office (IAO) at SAIF and was responsible for key internationalization projects, including partnership development with governments & universities, international programs administration, overseas student recruitment, school marketing and events, accreditation and ranking etc. He helped SAIF acquire AACSB accreditation in 2016 making it the youngest business school in the world to do so. Before SAIF, he worked at Chinese Europe International Business School (CEIBS) as accreditations & international programs manager. He started his career as an English lecturer at Tongji University where he received “Junior Teacher Awards” in Year 1998 & Year 1999 based upon student voting and academic reviews. Dr Amanda Barry is the founding Director of the Australian National University’s China Liaison Office (established March 2017) and is responsible for deepening and strengthening the university’s China engagement across multiple research partnerships as well as through student pathways, alumni relations and industry engagement. Dr Barry was previously Director of Academics at The Beijing Center, a research, education and study abroad program at Beijing’s University of International Business and Economics. Dr Barry holds an award-winning Ph.D. in Australian Indigenous history from the University of Melbourne and has published, presented and taught internationally. Since moving to Beijing in 2005 she has worked in higher education, cultural diplomacy, business consulting and the arts including at the Australian Embassy, Peking University, the Foundation for Australian Studies in China and The Beijing Center. Dr Barry has a particular interest in the career development and mentoring of young people and is active in women’s networking and mentoring programs in Beijing. She speaks Mandarin Chinese and lives in Beijing with her husband and daughter.